Just as getting in shape takes time, ranking well in search engine result pages also takes a lot of time. Both professional fitness trainers and SEO industry workers often face the awkward moment when a client asks for guaranteed results as they can never assure a guaranteed one. Though this is disappointing but it is true. At the first glance, recreational sports industry and search engine optimization have very little in common. But on a closer look, both industries are almost similar to each other as long as expectation management is concerned. Read on to know how SEO can be similar to fitness industry. There are no guarantees for starters in both fitness training and the SEO industry. There’s only much a trainer and consultant can do in terms of execution and planning. At the end of the day, the actual effort of improving your website or taking the first step to start exercising has to be done by the client. You have to follow a long term plan in both areas and this is all about stamina. One-off optimization initiatives have enough potential to get long lasting results as a training session. There are no short cuts in both the fitness training industry and in the SEO industry. Serious SEOs and athletes will agree to this and both have to work seriously over an extended time period which doesn’t cause serious side effects. There is no ‘wonder pill’ which can turn someone who is a couch potato into an athlete and the automated link-building program can make a poor website rise higher in organic search. Nutrition is very important as no well-executed training regimen can become fruitful if you’re not on the right nutrition. Similarly, proper on-page optimization would be enough if there is half-hearted poor quality link building. Don’t forget that links are the bloodline of a website. Bad linking can mar your overall performance. Motivation is necessary. In the fitness industry, the drive towards adopting a balanced lifestyle is more sustainable reason to maintain course. Optimization of search engines might or might not translate into desired organic search visibility. If you want to grow a successful online business, you should keep working towards the betterment. 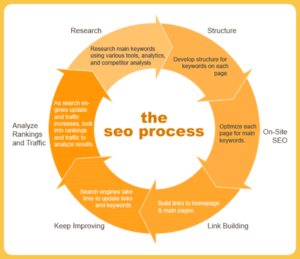 So, you can well understand the similarity between fitness and SEO specialists. Both can become a habit and a part of your regular work routine.